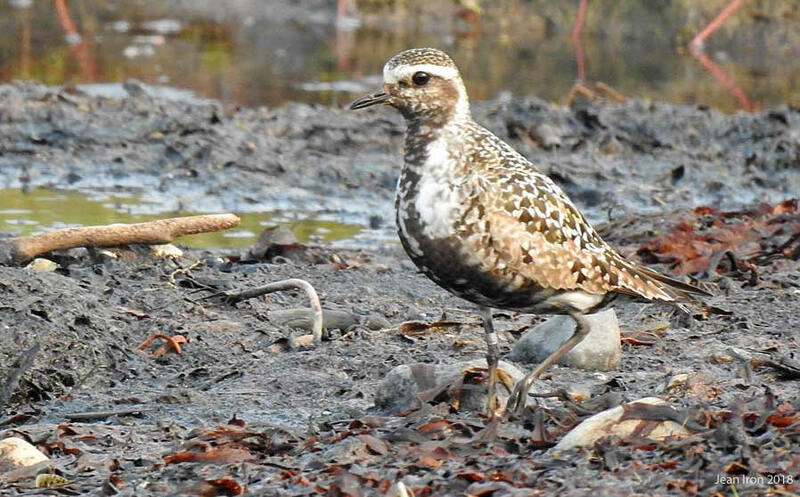 This adult female American Golden-Plover was banded on 30 July and was still there on our final survey on 12 August 2018. 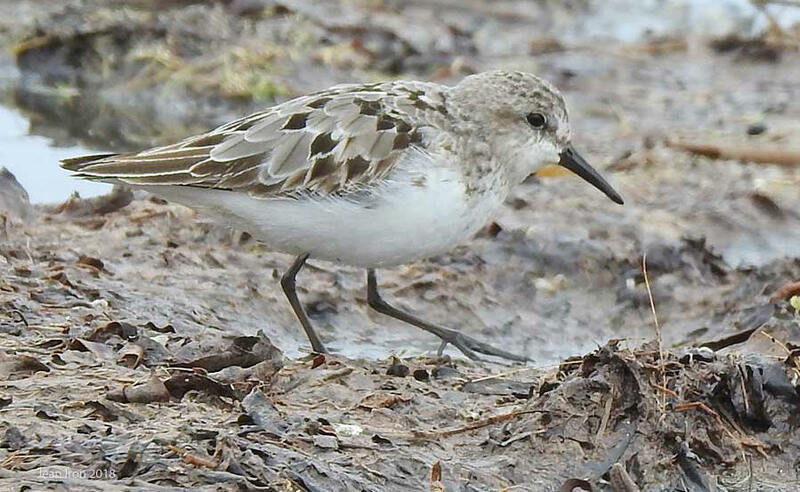 Molting adult White-rumped Sandpiper. 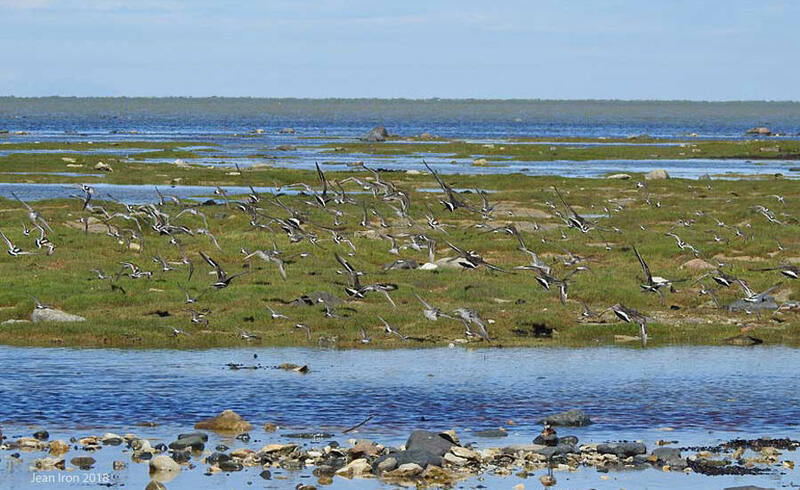 Thousands of White-rumped Sandpipers feed and molt on James Bay. 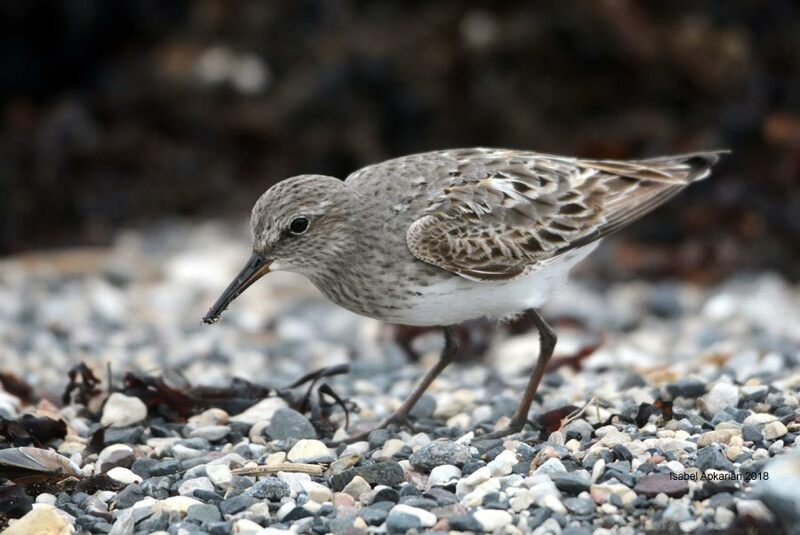 It may be the most important fall staging area in North America for this sandpiper. 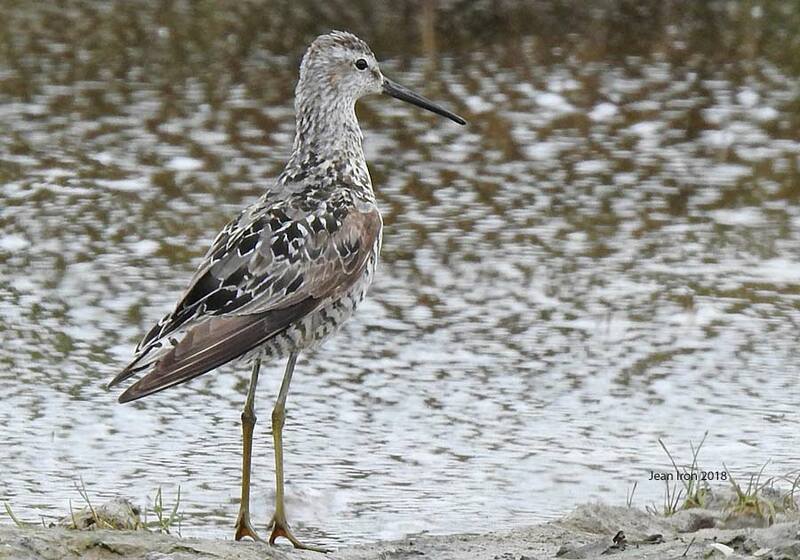 Photo by Isabel Apkarian. 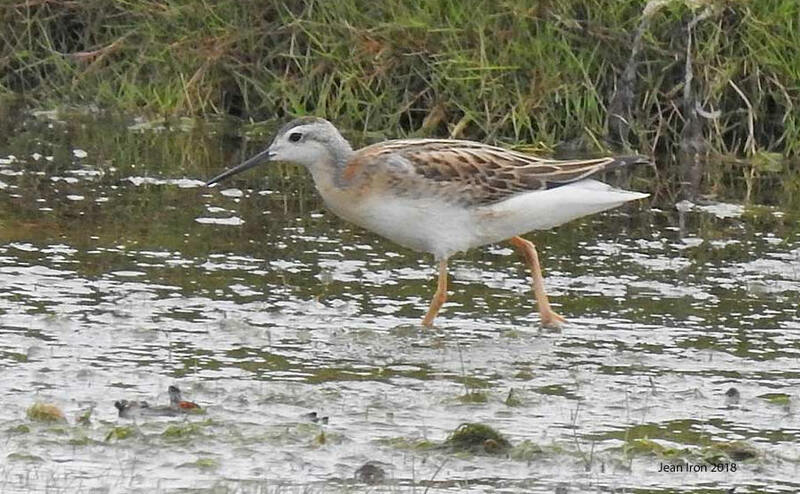 Adult (left) and juvenile Least Sandpiper on 6 August 2018. 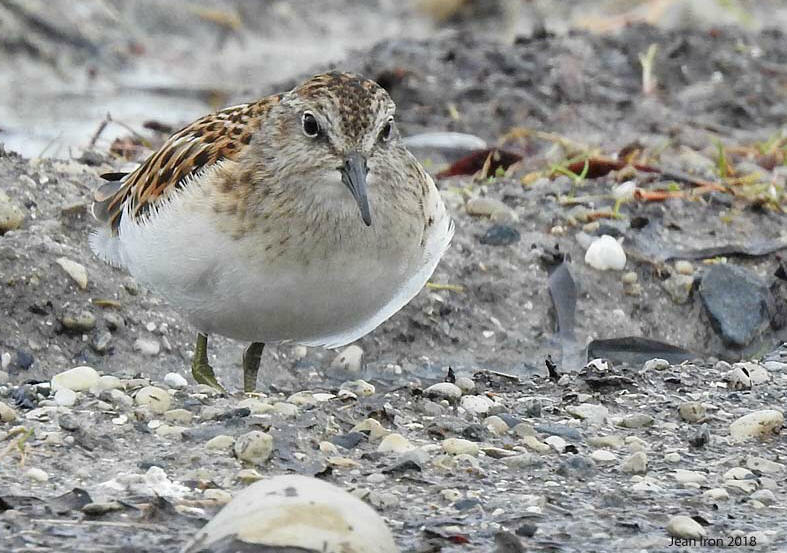 Molting adult Semipalmated Sandpiper on 6 August 2018. 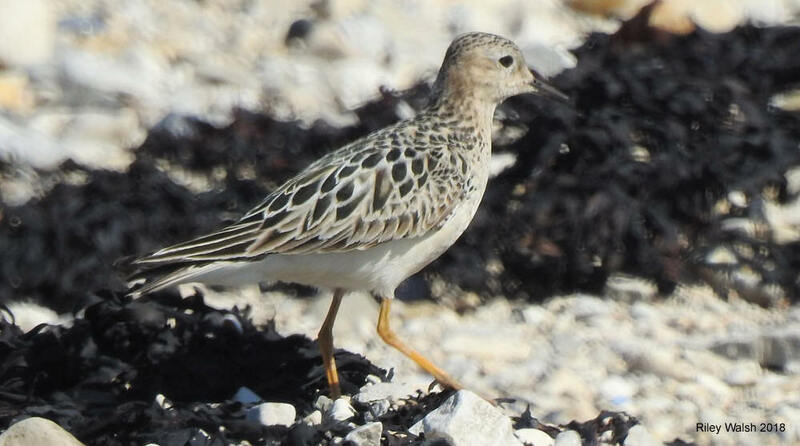 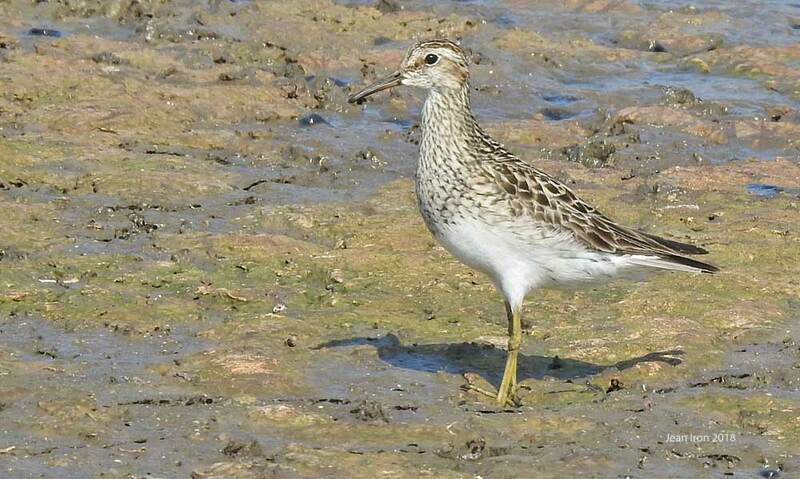 Adult Pectoral Sandpiper on 6 August 2018. 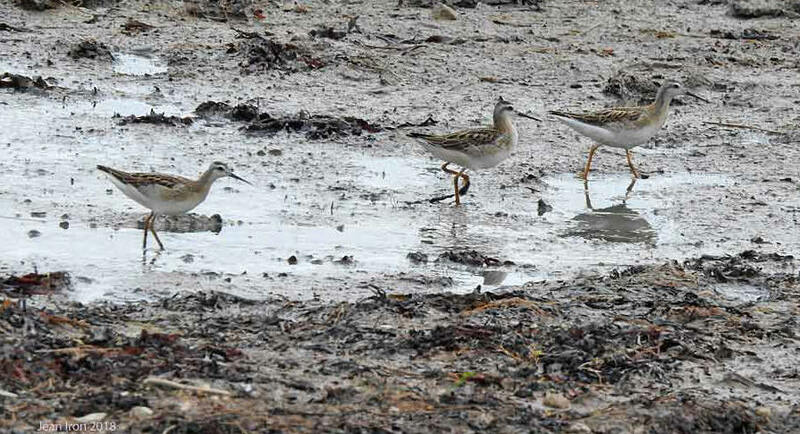 Hudsonian Godwits showing distinctive pattern in flight. 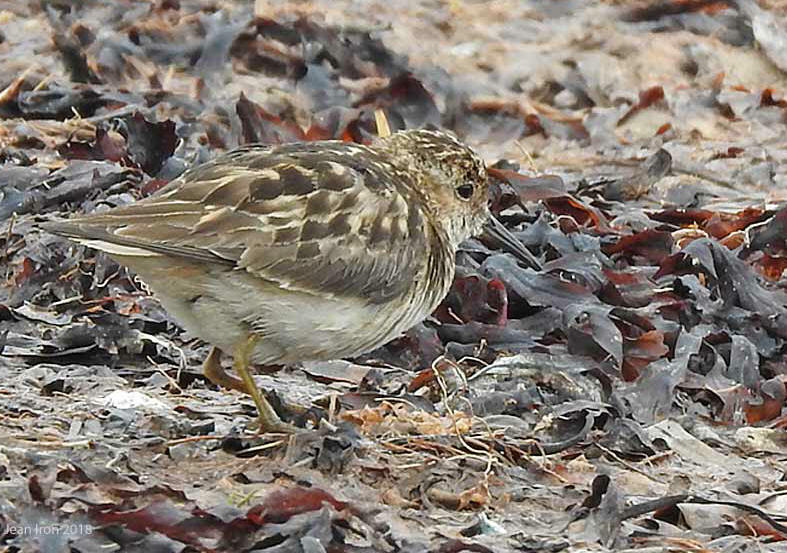 9 August 2018.